Do you have the entrepreneurial spirit but find yourself over-analyzing + doubting big business moves? My guest is here to tell us to own our pivots! Today’s guest, my dear friend Licia Morelli, is the best-selling children's author of The Lemonade Hurricane: A Story of Mindfulness and Meditation (Tilbury House Publishers), 2016 Maine Literary Award Winner, and general book enthusiast. Licia has been featured in Boston Magazine, Publishers Weekly, Barnes and Noble, elephant journal and Tiny Buddha. Licia lives with her husband and two young children on the coast of Maine. 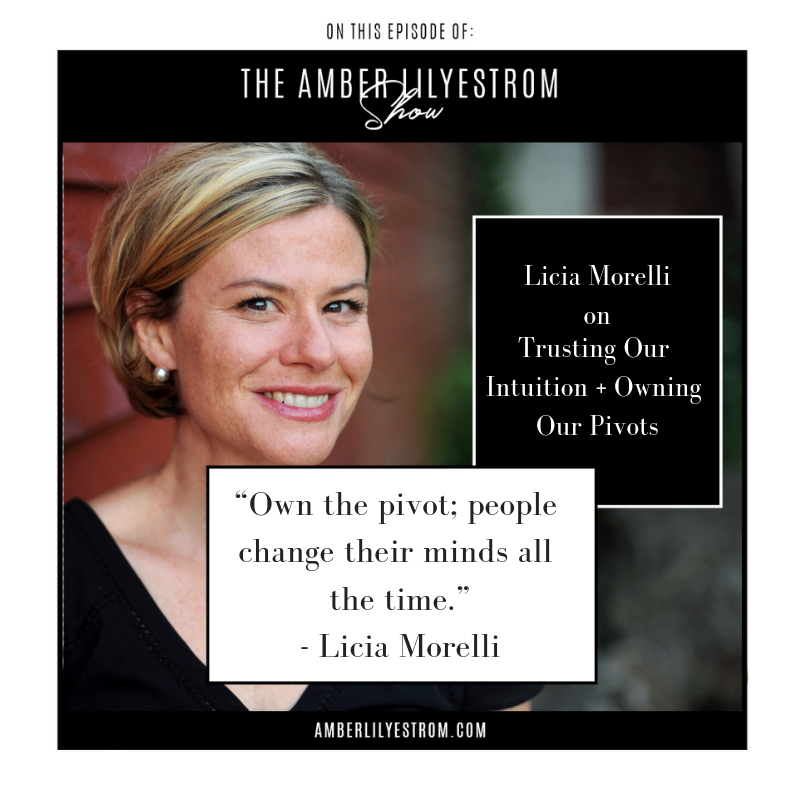 In this episode, Licia and I have a soul inspired conversation about the commentary on who needs us to say yes to our dreams, empowering + trusting ourselves and how energy magically coexists with the phases of moonlight. You’re not going to want to miss this one!